Spring Break was a whirlwind of activity around here topped off with a last minute trip to the dentist this morning. I will be Queen soon with my very own crown!!!!! I was thinking this week a lot about quilt labels. I do label my quilts, at least I try. I have this label for Thomas Knauer's son's quilt ( that saw all the action of Quiltcon) still in my sewing room waiting to be put on his quilt. I have yet to make the one for my friend in France...I need an easier solution! I did some searching on the internet and found a few solutions and no I just need to decide. Spoonflower has this AWSOME tutorial and to have them printed up and ready to go would be a BONUS! 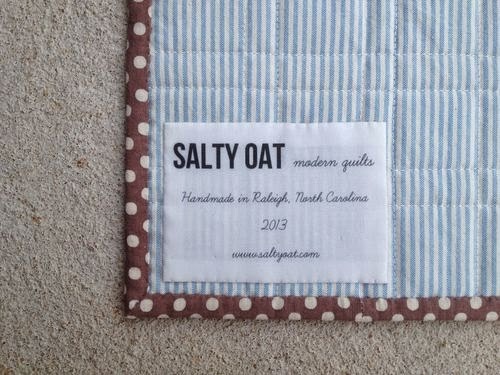 For a small fee you can get a Quilt Label Kit from Quilt Alliance. It includes everything you need to document your quilt's history so it will never be lost! I LOVE everything about the Quilt Alliance so even if you do not get the kit...GO JOIN or at the very least, sign up for their free newsletter! I love this tutorial for a hand embroidered quilt label by Selfsewn but that is where I began, it is still a great tutorial! 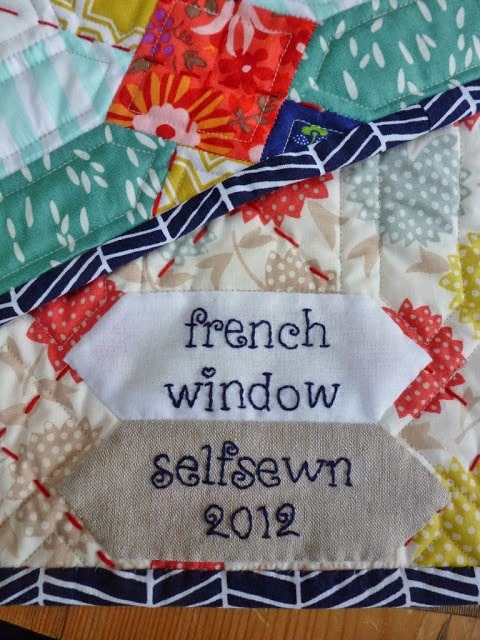 I would love to hear how you label your quilts! With all the craziness, there sadly is no giveaway this week. 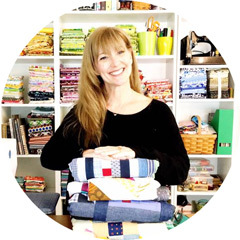 I hope you will link up anyway and share some sewing love with all of our friends! I am a horrible quilt labeler. I almost never do it anymore. I had some labels made that say GrammieQ and I put them in the binding on the back. I know it is lazy, but it's better than nothing, right? Charlotte, It is better than I am doing at the moment...LOL! I say your ooak labels ROCK! I label everything I make. 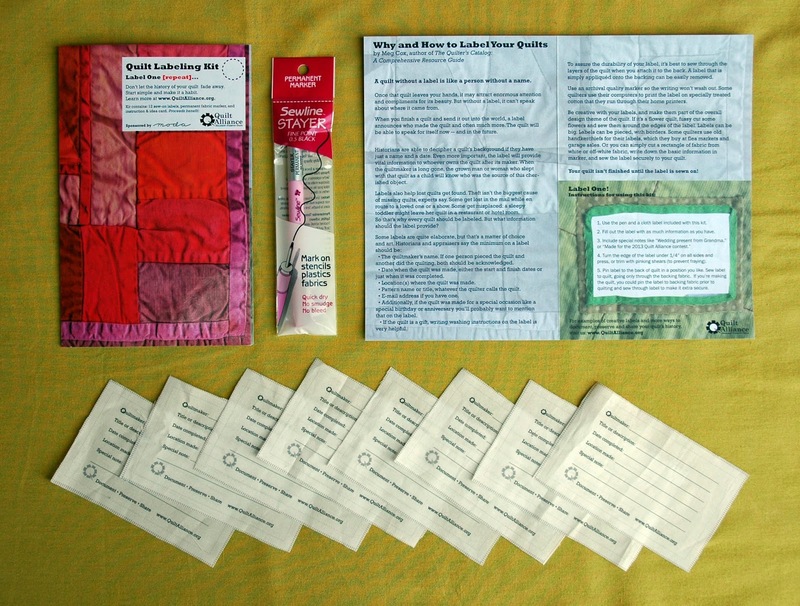 Special quilts have a full label with who they're for and why, who made it and where and the date along with fibre content and washing instructions. Items for sale have my made by ChrissieD or mbCD business labels sewn in which include fibre content and washing instructions. 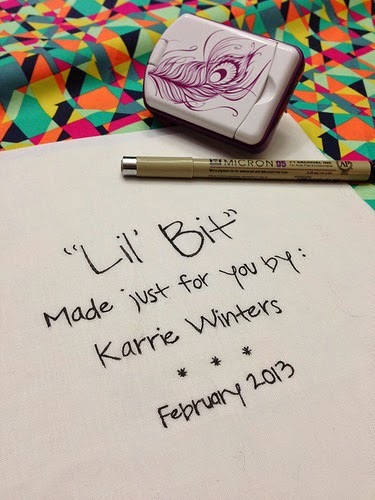 Thanks for this post Kim, I have been thinking about labeling my quilts just never seem to get to it. I am going to check out some of these tutorials and see if I can get some labels done. This is the first time I have participated in a link up! :) As soon as I figure out buttons, I'll give that a try. LOL! Sadly I haven't done any actual sewing this Saturday, just cutting out fabric for a name badge holder. I am not sure if I will ever label my quilts, I guess if I start making a whole bunch then I will, but since they are all for me so far it doesn't seem necessary, It will be fun to see what way you decide to go. I started emroidering, I had small tags printed(but found they washed out, my favorite are my spoonflower labels I can fill in that I print by the yard. 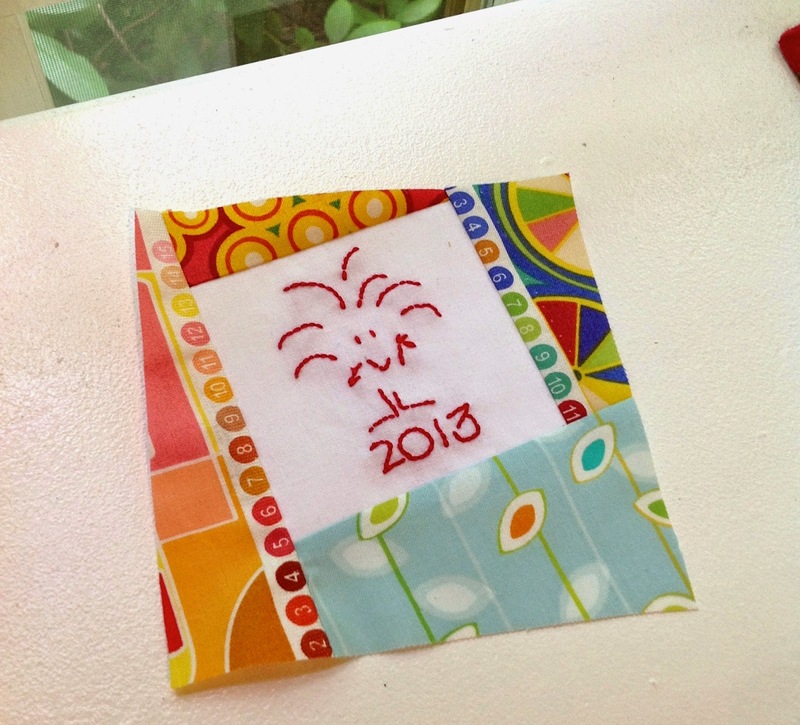 I also use the $5 swatch size to make special quilt labels even incorporating pictures. Lately I like a square folded diagonally and sewn into the corner with the binding. Sharpie has these new Stained fabric markers i use to write the info on with. I'm so glad you mentioned labels! I am supposed to do a demonstration on how to make them at my Quilt Guild's meeting this Thursday! I can't believe I forgot. I love the idea of SewJo Saturday. I did some sewing on Saturday and finished making some little parts of a bigger block. It was fun to get my "sewjo" on! Kim, I did discover an easier way to make labels. You can take an 8" square, fold it in half wrong sides together and press. Lay the raw edges along with the edge of the quilt (that hasn't been bound, yet). You can finish the raw edges of the label as you are sewing down your binding; the binding will cover it. Then hand stich the folded edge. I use a method similar to SelfSewn's and embroider them. I too posted a tutorial on my blog a while ago.